In 1994-1997, the Yale University Khabur Basin Project excavated Tell Ziyadeh on the Middle Khabur River of Northeastern Syria. This monograph describes two pioneering settlements: fifth millennium BC Ubaid and early third millennium. It discusses the research programme and strategies; reviews the modern and palaeoenvironments; and provides separate chapters describing the various excavation areas, as well as the ceramic, lithic, faunal and botanical remains found in them. Two chapters describe small-scale excavations at Mashnaqa and Kuran, sites with occupation histories paralleling Ziyadeh. 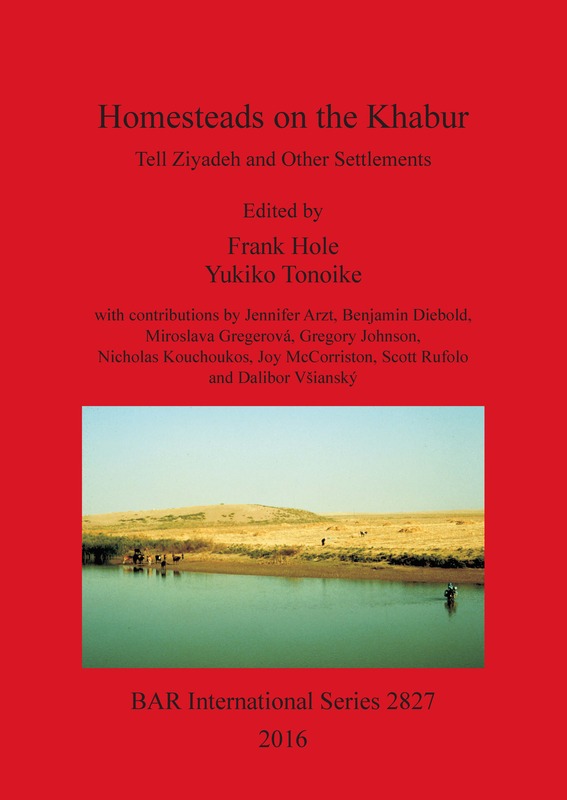 The monograph concludes with a discussion of the immigration by fifth-millennium Ubaid settlers into a virgin landscape in the Khabur, and the gradual transition into a widespread Late Chalcolithic tradition. It provides a reconstruction of the realities of life in these small homesteads, which comprised a society of closely interacting settlements and remained viable for hundreds of years before moving elsewhere, as simultaneously as they had initially arrived. Frank Hole (C.J. MacCurdy Professor Emeritus of Anthropology and Senior Research Scientist, Yale University) received his PhD from the University of Chicago, and taught at Rice University and Yale University. He has carried out fieldwork in Iran and Syria. He is a member of the National Academy of Sciences. Yukiko Tonoike received her PhD from Yale University in 2009 and is currently an Associate Research Scientist in Anthropology at Yale University. She specializes in archaeometric approaches to ceramic analysis, particularly petrographic analysis of Near Eastern ceramics. She has excavated in Turkey, as well as Ecuador, Guatemala and the US. With contributions by Jennifer Arzt, Benjamin Diebold, Miroslava Gregerová, Gregory Johnson, Nicholas Kouchoukos, Joy McCorriston, Scott Rufolo and Dalibor Vianský.